WccftechPlays - Live Luckslinger Review: Watch Us Run Out of Luck! WccftechPlays – Live Luckslinger Review: Watch Us Run Out of Luck! 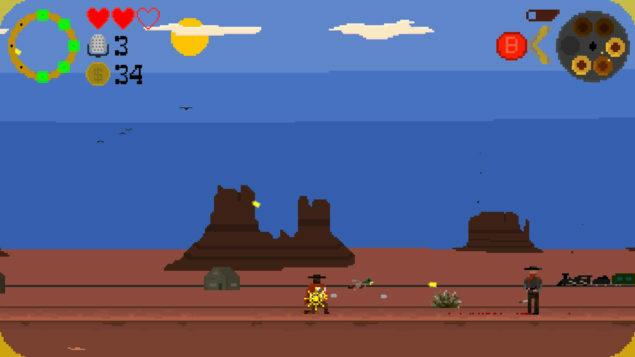 Luckslinger is a game worth mentioning not because it follows retro roots, but because it’s more than just what it looks like. It’s a surprising introduction into the kind of innovation that comes out of the independent developer market. Duckbridge is an incredibly talented group of individuals. Surprisingly fun, incredibly addictive and full of fantastic music. Want to follow us along as we fail like a whale trying out this novel platformer from Duckbridge? Any tips are always welcome in the chat. Luckslinger just might surprise you.